Years and years from now, it would go down as one of the saddest days in the kingdom’s history when the crying, trembling figure of their queen was seen at the gates of the palace, performing the public ritual of ending her marriage to the king. News traveled fast, and the area was soon swarming with people – reporters who were out to sensationalize this unprecedented sight, gawking guests who were titillated by the hint of scandal in the air, and men like Mahmud, who didn’t hesitate to sow seeds of discord to further their cause. Queen Harper publicly disavowing marriage to travel alone and leave Ramil? Princess Safiya, daughter of Sheikh Mahmud, to be Ramil’s next queen? Ramilians to be fined if found offering aid to Queen Harper? Later, there would also be stories of loyalty – of how secret enemies of the sheikh had incited a rabble, and of the queen’s most trusted guards coming to her defense. Witnesses had sworn they heard the queen tearfully begging her loyal guards not to endanger themselves for her, but still they had shed blood for her, their loyalty to her unwavering. You will always be our queen. You are free, my love. Enjoy reading Marian Tee’s first sheikh romance – set in the desert kingdom of Ramil, this epic, no-cliffhanger love story is destined to break your hearts and sweep you off your feet. *voluntarily and honestly reviewed the ARC I received from the author* 4.5. There's a reason I try to make sure I don't read this when I'm already such a blanket burrito! I totally loved it. I'm a huge sucker for the complicated romances, they're like candy for me. Khalil was an interesting man to see, especially since I've known about him for a few years now, back when he and Saffi were still promised to each other. But it's been years now, and he's older, wiser. He's got total love and devotion for his kingdom and Harper, the woman he loves to aggravate, is a funny woman. She comes from humble roots and doesn't know what he sees in her when he decides to ask her to marry him. And sadly, she isn't really a great 'queenly' candidate, but when you think about it, it's her heart- the one he sees and adores -that he sees is perfect for his kingdom. Only issue is that she's a foreigner and not of high status. So what does one do? He throws a party. Just kidding, but seriously. Loved it. It was a little fast in some cases, and while I can see it working out that way, I still would've liked to see some scenes fleshed out, like the attack, for example. Still, I know this is a romance, so I tried not to think about that too much (though it would've been so cool you know?). 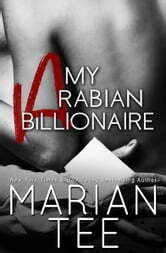 Overall, it's a great fast-paced romance that was hot and totally made me cry with the drama. I'm hooked.